AC Tune Up | Get ready for the Heat! Just like a car runs better when it receives a scheduled tune-up, your HVAC system benefits from regular maintenance as well. 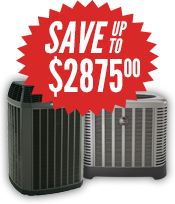 All air conditioners consist of parts designed to work in balance for top performance. 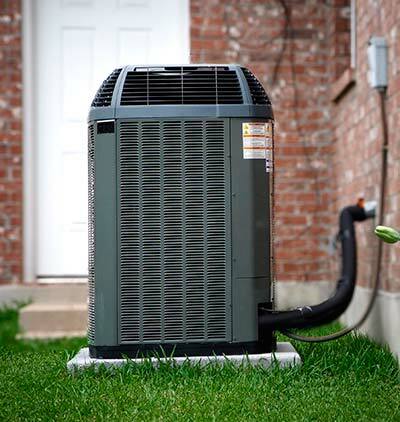 The time to get your air conditioning system inspected and serviced by a Katy HVAC repair technician is before Houston area weather turns steamy. A tune-up is an important part of any maintenance procedure. It keeps your air conditioner from unexpectedly breaking down and ensures you remain comfortable when outside temperatures start to climb. Neglecting your cooling system can lead to costly repairs down the road. A routine tune-up performed by one of our expert Sugar Land air conditioning repair service technicians increases your unit’s efficiency, keeps it running safely, and extends the lifespan of your HVAC system. A normal tune-up begins well within the walls of your home. An inspection of your ductwork is performed to turn up any leaks or blockages. This prevents energy loss and guards against restricted airflow, which may reduce your air conditioner’s efficiency by up to 15 percent. The performance of the blower motor, fan, and all electrical connections will be inspected and adjusted to verify safety. To insure optimal performance, refrigerant levels will be checked, and all moving parts will be lubricated. The thermostat connections will be properly calibrated to ensure proper operation and provide a comfortable home environment. To avoid problems with humidity, a technician will make sure the condensate drain is open and unplugged. An experienced Katy air conditioning repair technician knows the importance of cleaning the evaporating and condenser coils. This heightens efficiency and lowers your operating costs. Accumulated dirt reduces the unit’s ability to cool your home and it will need more time to reach the correct temperature. If the A/C system runs longer, you will see an increase in your energy bills and the useful life of your unit is reduced. Even though it is smart to rely on a trained Sugar Land HVAC repair professional to maintain your air conditioning system, there are certain tasks you can do between visits. For example, it is easy to clean your A/C’s air filter each month and replace it when necessary. Using a fresh filter decreases energy costs, keeps your equipment from becoming damaged, and improves your home’s air quality. 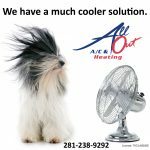 At All Out A/C & Heating, we guarantee tune-ups that keep your unit working as efficiently as possible. Do not wait until your air conditioner has problems to get an inspection. Preventative measures will protect your investment and keep your home comfortable throughout the year. Call us at 281-238-9292 to schedule an appointment today.